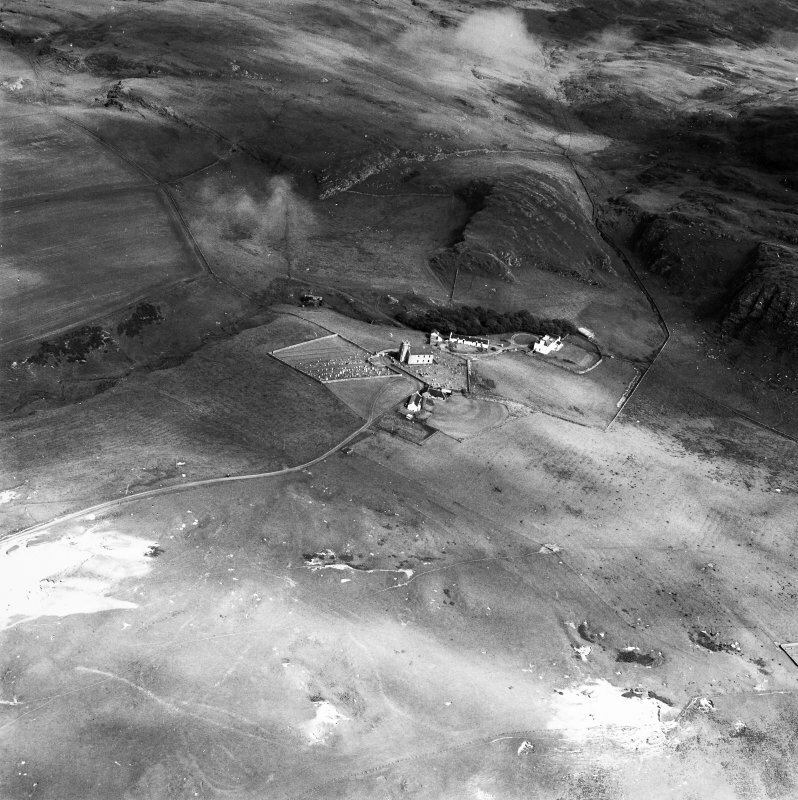 Oblique aerial photograph of Kilchoman, Islay, taken from the NW. 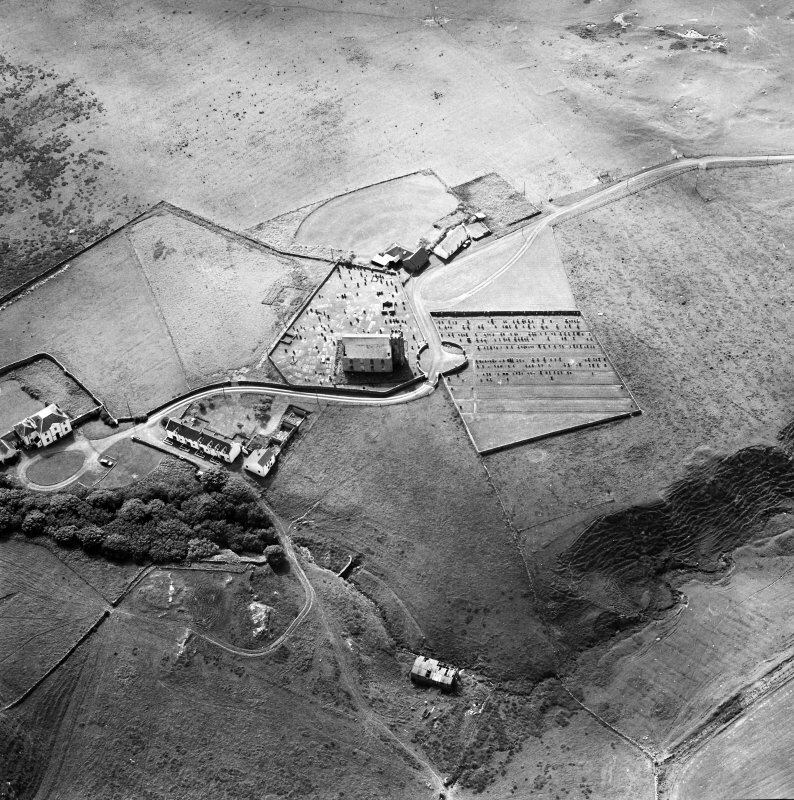 Oblique aerial photograph of Kilchoman, Islay, taken from the ENE. "Near to Kilchoman (NR 21 63), I observed an old ruinous gloomy building which was once the seat of the turbulent MacDonald, prince of the Isles, but it is now peacefully inhabited by the minister of the parish." The site of MacDonalds stronghold is believed locally to be at NR 2140 6327 where there are the footings of some rectangular buildings. These remains extend for 60m, with an average width of 7m, and include an enclosure 25m by 15m. They have the appearance however of a row of ruined cottages or farm steadings of no great age. Visited by OS (B S) 5 May 1978; Information from Mrs Meryon, Kilchoman House to OS.